THE QUICKEST ROUTE FROM THE HEAD TO THE HEART IS A STORY. The Gray Havens, guest performers at last year’s Repairing the Ruins conference in Pittsburg, began 2018 on a high note—celebrating their first official Christian radio single. “High Enough,” featuring Christian hip-hop artist, Propaganda, just reached #19 on The Hot Chart Christian music website. At the time of this printing it was still climbing! Read more at NewReleaseToday.com and TheHotChart.com. 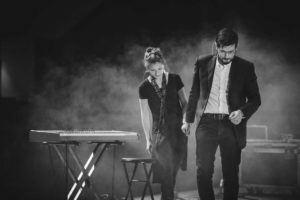 Radford and his wife, Licia, emerged together from varying musical pasts to settle on one clear mission—use the power of music combined with story to spread the gospel. It was a niche few were filling. With musical inspiration from storytellers like Paul Simon and Cat Stevens, perhaps The Gray Havens will become the Simon and Garfunkel of the Truth, spreading the gospel without saying so, and reaching the heart because, at the end of the day, we’re all part of the same story. We met them at the 2017 ACCS Repairing the Ruins Conference. 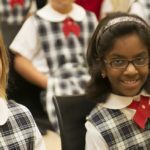 Their music resonated with many of us there, in part because it’s so good, and in part because the power of story is a principle central to classical Christian education—a fact long acknowledged by educators and parents throughout the ages. We asked Dave to tell us their story. 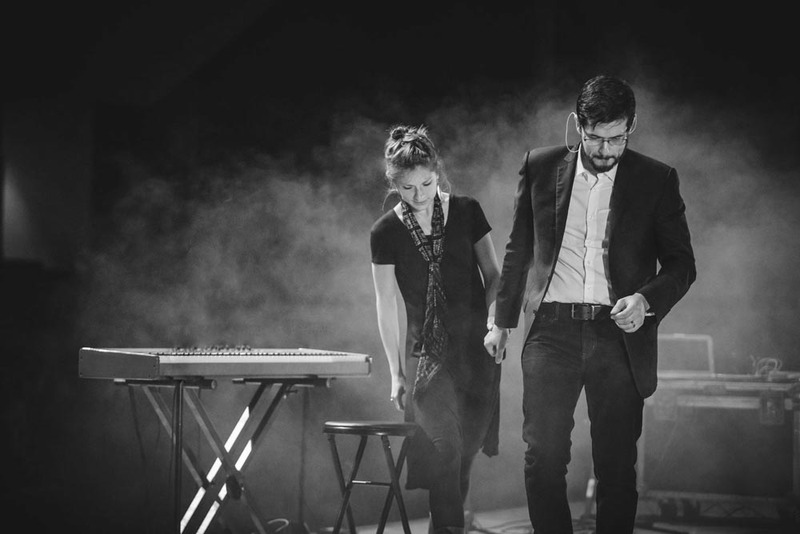 The Gray Havens released their debut EP in 2013 and their first album, Fire and Stone, in 2015. Their newest creation, Ghost of a King, debuted at #3 on the iTunes singer-songwriter charts. And their upcoming album promises to deliver more of what their fans are coming to love. Q: Do you intentionally make all your songs narratives, or does that flow naturally from the way you view things? A: We say that we want to awaken wonder and joy for the Lord and his glory through song. And there’s something inexplicable about story that connects the head to the heart. Joe Rigney said, “We are en-storied beings.” You can tell this culture and this world is story obsessed. Just look at the box offices. Music on its own, even without the story bit, transcends time and culture; when you have both together, I think it makes for a powerful combination. Q: You said at your concert that the inspiration for Silver was the conversation between Tolkien and Lewis where they talked about myth becoming real. Could you tell us a little more? This song is about people who grow up in a silver land surrounded by deceit and confusion over what’s true, including the songs that are played there. One day they hear a different song across the silver waves, and they set sail to go find it. When they are confronted with the true song (or confronted with Christ) it melts all the silver away and they are able to see things as they really are. Q: Can you tell us about other songs that have a unique point of inspiration? A: I did a couple songs on the last record about the new birth—Ghost of a King and This My Soul—grappling with John 3 about the concept “you must be born again.” That’s why you don’t understand these things, he says to Nicodemus—you aren’t born again. I did a lot of digging into what that means and the Holy Spirit’s role in that. There is a lot there. This My Soul in particular deals with two sides of the new birth: one side being the tragedy that it needs to exist at all and going through the fall, but the other more positive side being that what you’re born into is a living hope. There is a redemption ready, a rescue available. Q: When you were writing This My Soul and Ghost of a King, were you studying John 3 at the time? A: Yes, but I don’t often premeditate what I’m going to write a song about. I’ll start a song melody, I’ll sing some kind of gibberish over it, and that usually develops into syntax (which is word flow). Out of that, the picture will emerge. Usually the theme of the song will be taken from a few words that just happen to flow nicely together. 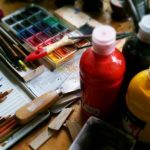 Q: So you create from the inside out? A: I do. Lewis, Tolkien, and other authors talk about the feeling of taking dictation— of being a vessel that receives words. They don’t know where it comes from, you just have to be faithful in being there so that when it does come, whatever the IT is, you are there to document it. Q: Would it be safe to say you start off with the music? A: I find I need the music, and what is nice about music is it’s restrictive. You only have so many syllables and the syllables have to follow the melody. You have this huge idea and you have to fit it into five syllables. It’s like a huge puzzle with many moving pieces and you’re trying to work it all together. 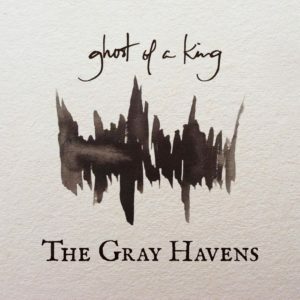 The Gray Havens doesn’t have just one “sound.” Their songs are unusually diverse. Q: Do you use different kinds of instruments to achieve your sound? A: It’s like painting on a canvas—trying to capture the song in a moment of time. We use whatever instruments work to paint this picture. Then once you take it from the studio to the stage you can reinterpret it with whatever is at your disposal. Q: What was the blue thing Licia was playing [at the ACCS conference]? A: Melodica. That’s available to us on stage because it’s so small. We did an orchestra tour with the last record. We went to different colleges and had 6 to 10 string players, and a full band, so there were ten to fifteen people on stage every night. We made it a bigger deal for that record. 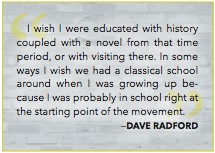 Dave believes his childhood set him on a musical path. Q: Have you always been a musician? Did you play instruments and write songs when you were young? A: I grew up listening to Paul Simon and James Taylor and Cat Stevens and Simon and Garfunkel—storytellers. My mom is a vocal and guitar teacher so music was a big part of life. Q: When did you start playing instruments? A: Second grade—playing piano. Middle school—jazz band, symphonic band, playing trumpet in marching band. High school—choir and musicals. It was an “all in” kind of thing for me. Q: When did you decide to be a music major? A: My choir director encouraged me. I was really in love with choir and choral music and so I thought I’d focus there. I was aware that it is a lot easier to try something when you’re a single guy who can sleep on couches anywhere, as opposed to trying it later when you have a family. At age 17, the summer before his senior year, Dave travelled from Crystal Lake, Illinois, to Chicago to audition for American Idol. He made it into the top 10 men. Q: How did you end up on American Idol? A: I wasn’t really interested in auditioning, but a talented friend of mine was persistent in convincing me because she didn’t want to go alone. Because I was a minor, I had to bring my mom, so we all three went and stood in line for 12 hours and did that whole thing. It kind of disenchanted me, being in LA and seeing the cutthroat sides of things. Q: Why did you become disenchanted? It was a crazy process and I am thankful for it, but I’m so glad I got voted out before I had to sign a deal because I think I would have been pigeon-holed into singing Frank Sinatra stuff, which is what I was singing on the show. Q: Can you talk a little bit more about how you met your wife? It sounds like you met on a missions trip? Q: Well, that was a good mentor. A: Yeah, he never does that. On his recommendation I got to know her a little bit more in a couple of group contexts and then asked her to coffee and the rest is history. Q: So there was no musical connection at the beginning? A: No, No. Very late into our relationship music got started. Probably after we got engaged but not really until after we got married. A: I was planning on going solo and she was going to be like the tee-shirt girl. About 6 months into dating she was learning guitar from my mom. Q: Your mom just offered and she thought, “sure”? A: She had a role on the youth group worship team as a singer, so she thought it could be useful to play guitar, too. She was a closet singer to musicals and things. I think she always had a bundle of raw talent there. But she didn’t really have an outlet for it. A: Yes, and just before we had gone on these dates we had volunteered to start a college ministry group — me and her and another guy/girl. So we — for lack of a better word— were stuck doing that together after we decided to be friends every week too. We definitely had to be around each other a lot, even after we decided to just be friends. The Lord was just letting us be around each other without the pressure. Q: So she didn’t go on the mission trip because she heard you were going to be there and you had been on American Idol? A: No, but she and her mom had and watched the show and voted for me and her mom had teased her about it. She said, “wouldn’t it be nice to date him” while they were watching on TV. Q: They actually said that while they were watching you on TV? A: Yes, and then 6 years later we’re married! Dave and Licia (née Keyes) married in 2012. It wasn’t until quite late in their relationship that Dave discovered Licia’s ability to sing. Q: How did you start singing together? A: Once I heard her sing for real, as she was learning the guitar, I was floored. I just hadn’t realized. So the wheels started turning a little bit. After we decided to get married it was a natural question. It’s wasn’t forced, it just made sense. Q: Do people ever comment that your voices seem to go very well together? A: Yes, a lot of people say that. Q: Did you have to work hard to make that happen? A: No, it just happened—a happy blessing. 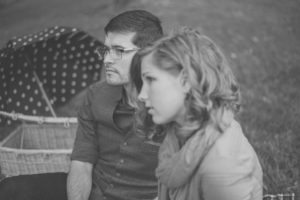 We do spend a good amount of time working on parts and to be honest in the early days—the first couple of years—one of the most stressful parts of our marriage was rehearsals. 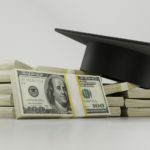 My major was music education so trying to help her learn while working through some insecurities—her questioning “am I called to this or not”— was a hard hill to get over. Simon, Dave and Licia’s two-year-old son, is beginning his musical career like so many before him—with plastic bins and drumsticks. Q: What will you do to train your own kids in music, if anything? The most important thing with young kids is having music in the home and sharing your love for it. Q: If there is one of your songs you would like your kids to remember you by, what would it be? A: Probably Band of Gold and Train Station. Train Station is the gospel. Band of Gold is about mom and dad staying together always. Some music is for worship, some for entertainment. This music seeks, like Lewis’ fiction, to tell the Christian story not just for believers, but for those who have never heard, or who have heard it so many times they’ve stopped listening (Jerram Barrs). Q: Your songs, while Christian, are not like worship songs where you hear the words “God” or “Jesus” or “Trinity.” Do you ever hear complaints about this? A: Worship music is kind of a different genre. That’s not our music. Andrew Stanton, writer [and director] of Finding Nemo, has a great Ted Talk about the magic of giving your audience two plus two—don’t give them four. Your audience wants to put things together. They want to figure it. They want to do the work. They don’t want to be spoon- fed the meaning—they want to think about it. I think two plus two is often more powerful than four. Q: Do you write all your music and lyrics? Q: What is your most popular song so far? A: Ghost of a King. Q: Do you and Licia have a favorite song you’ve written? A: I think Far Kingdom and Train Station are probably both our favorites. Glad you like the article! The author’s name is Stormy Goodwin.